Whenever I’m at a conference, at work, or online, I often find myself interacting with folks that have a lot of misconceptions about eLearning. Usually, these misconceptions “show” themselves when someone is trying to explain why eLearning isn’t effective, or when someone has a very narrow idea of what eLearning should look like. The truth is these misconceptions about eLearning stem from an individual’s’ inexperience or fear of eLearning. And frankly, I don’t blame these folks for having these misconceptions. 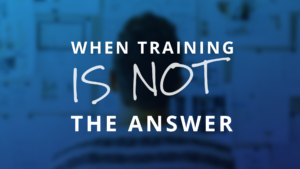 It’s likely they’ve experienced eLearning that truly is bad, ineffective, or misused. And it’s these negative experiences that have shaped their misconceptions about eLearning. 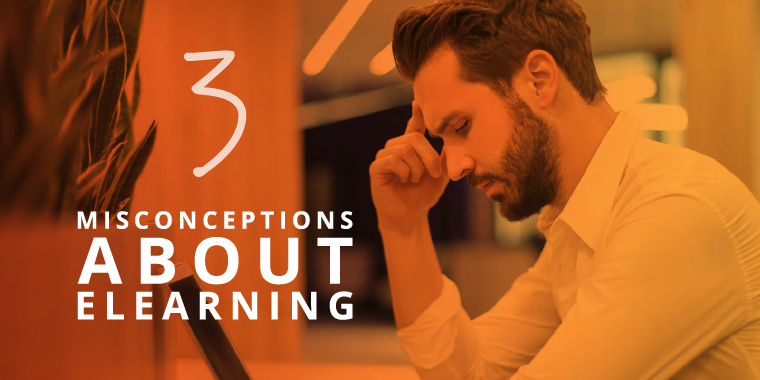 Here are three common misconceptions about eLearning that most people get wrong. 1. eLearning Replaces the Classroom. Perhaps the most common misconception about eLearning is the idea that it replaces the need for the classroom and even the instructor. I believe this misconception stems from the insecurity some (not all) classroom facilitators have about their position in the learning process. As much as I believe the classroom has its place within the learning ecosystem, some (not all) facilitators believe that if the content isn’t delivered from their mouths and into the ears of the learners sitting in front of them, then learning isn’t occurring. The truth is, eLearning, like classroom facilitation, is just one learning modality, amongst many. 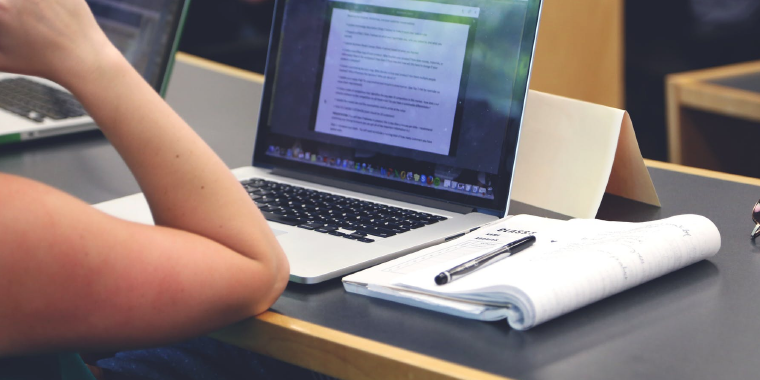 Learning isn’t a singular event that happens while seated in a classroom or behind the screen of an eLearning course. Learning is a process that occurs through the progression of multiple events, where learners obtain knowledge, apply that knowledge, and master a skill. This can happen in the classroom, in an eLearning course, with a job aid, while watching a video, having a discussion, or while practicing on the job. 2. eLearning Must Be Interactive to Be Effective. eLearning comes in many different shapes and sizes. 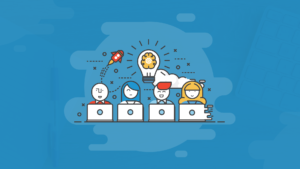 And when most people think of eLearning, they think of something that has been developed in a tool like Articulate Storyline or Adobe Captivate. While these programs offer the ability to create highly-interactive eLearning content, many folks believe it must be interactive to be effective. 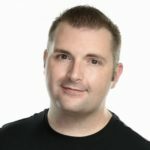 The truth is, there isn’t (at least there shouldn’t be) and single rule for when a course should or shouldn’t be interactive. Interactivity should be included if it can help the learner better understand, apply, and master the skill being taught. If the skill being taught doesn’t require application or isn’t best practiced in a digital interaction, then interactivity should not be included for the sake of interactivity. This misconception about eLearning is the result of folks having a narrow view of what eLearning looks and feel like. If you take the term “eLearning” literally, it means any learning that is electronic or digital. If you think of eLearning as digital learning, it opens the possibilities to a lot of different types of content. Videos, interactive documents, webinars, podcasts, online discussions, or interactive performance support tools are all examples of digital learning, also known as eLearning. I have to be honest, I’ve never understood this one. To me, saying you hate eLearning, is like saying you hate the internet. I don’t know about you, but when I need a reminder on how to cook rice, I don’t pull out a big old cookbook or sign up for a class. So, what do I do? I find a quick, two-minute video on YouTube. Now, if you take what I explained in point number two, an online video constitutes eLearning. The truth is, people don’t hate eLearning; people hate bad eLearning. 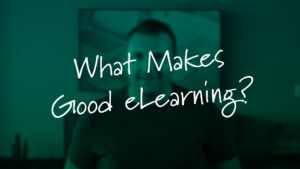 So, what is bad eLearning? Bad eLearning is eLearning that is poorly designed, isn’t fit for function, and doesn’t effectively fulfill the desired learning need. eLearning is good when it’s designed well and used when it’s most appropriate. What other misconceptions about eLearning have you experienced? Share them by commenting below! I totally agree with the fear factor – I’ve experienced classroom trainers who are horribly hostile to elearing. 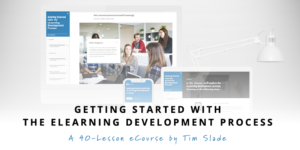 I think there is something about pace, too – there is a perception that elearning is a plodding marathon (cf timed compliance screens), when it can be an exhilarating sprint (cf anything we all love browsing). Maybe the problem is in the name- digitally enabled/enhanced learning anyone?